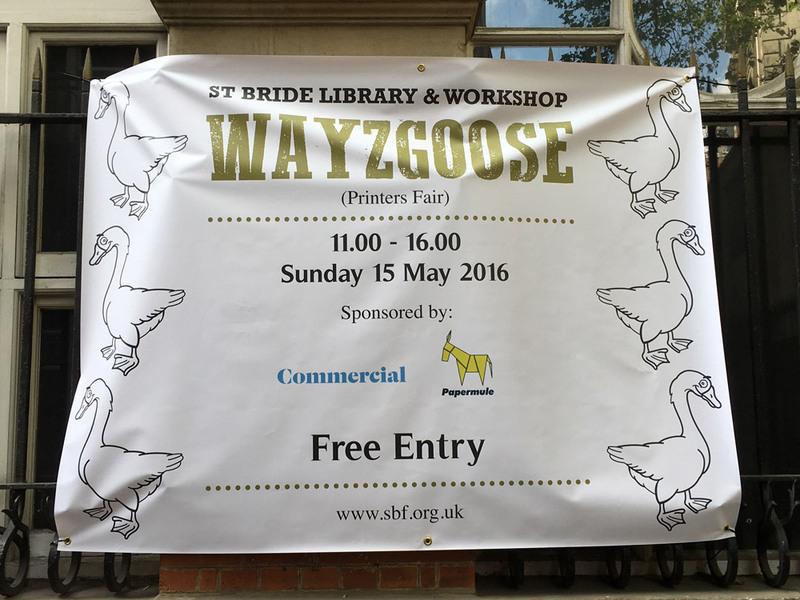 St Bride Wayzgoose 2016 – just about to go in! But what exactly is a Wayzgoose I hear you ask?! 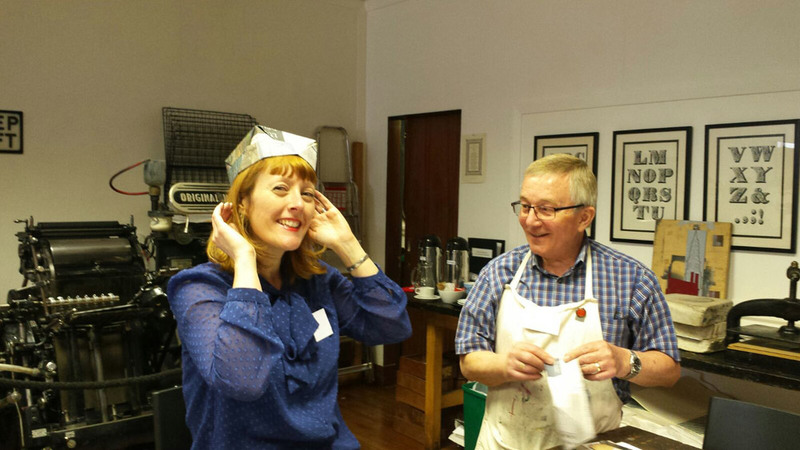 Well, it is an annual beano thrown by master printers for their staff. 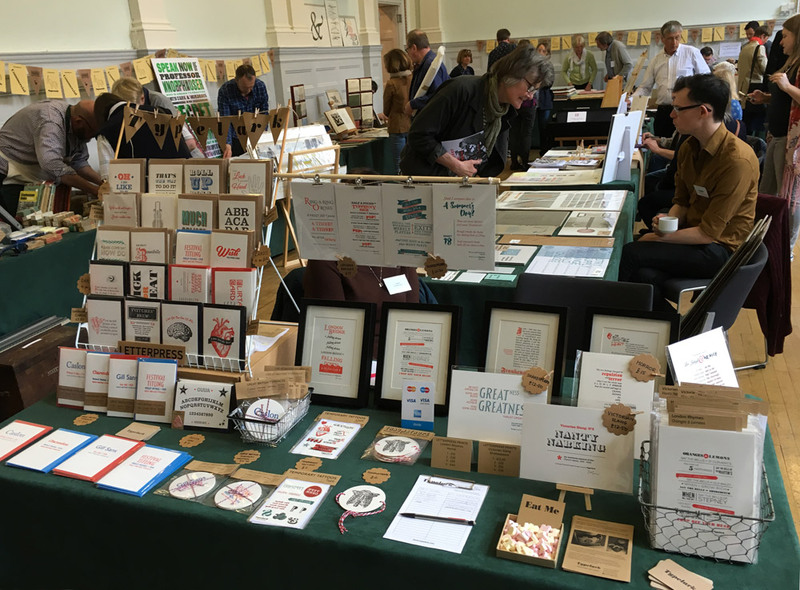 They were traditionally held in August, however thesedays they tend to have no set date, and are more like a fair for letterpress lovers to visit, meet printers, buy letterpress goodies, and soak up the great ambience – just like St Bride’s ones! 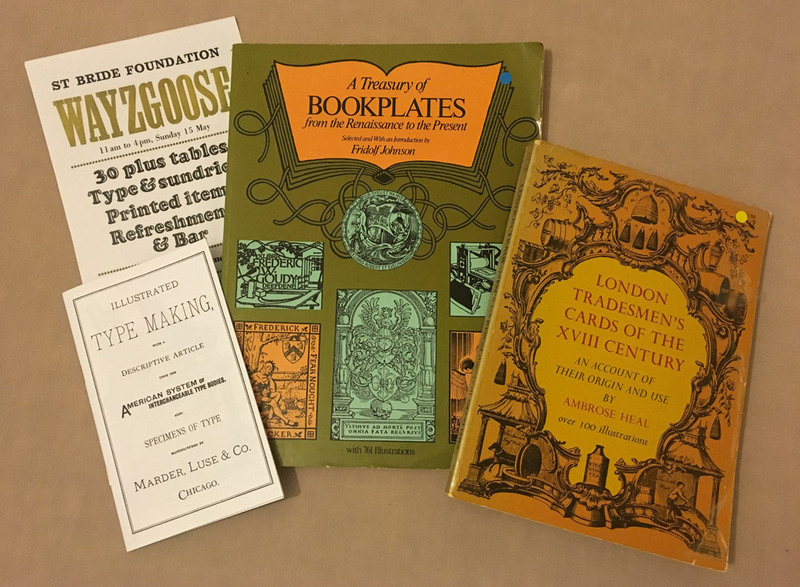 There were many stalls selling wares such as letterpress prints, type and printing sundries, ex library books from the St Bride Library, refreshments in the form of tea and cakes, the print workshop had demos, and the Bridewell bar was open. The goodies I bought… wish I had more time to do more shopping for myself! It was as brilliant as it was last year, and I hope I can be part of it again next year! And if you’ve never visited St Bride’s or you can’t wait another year for the Wayzgoose, they hold many great type and graphic design related talks and events, plus the library is now open to the public again on the first Wednesday of every month.